The high fashion of Jeffery-West™ is the perfect addition to any daredevil's wardrobe. Pull-on design with pull loop at the back of the heel. Functioning zippers detailed on each side. Lightly padded leather red insole with embossed logo. 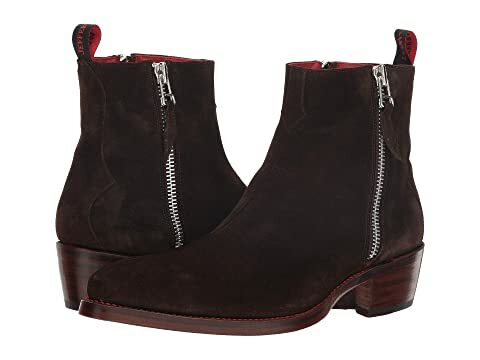 We can't currently find any similar items for the Rebel Riot Double Zip Boot by Jeffery-West. Sorry!